Fairies are beautiful energies. They engage with nature and spend most of their time in forgotten overgrown areas of hedges, garden corners, woodlands, mountains etc. Most fairies come together to dance, celebrate and engage in magic. The tradition initially began by burying children's teeth that feel out. When the child had lost its sixth tooth the parents would leave a gift of money from the tooth fairy under the child's pillow. 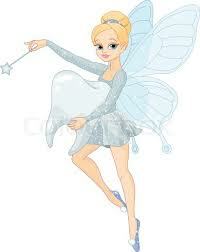 The tradition of the tooth fairy is recored back in Norse folklore in the writings of Eddas. A fairy ring is very powerful, containing very powerful magic.Most fairy rings are visible at sunrise or sunset. Much of the magic escapes into the soil nearby and creates mushroom circles and discolouration in the grass. You should never step into a fairy ring. You can create your own wishing box and ask the Fairies to fulfil your wishes. Choose a beautiful sparkling, shiny box. Write your wishes with a special pen and keep it with your box. Place your wish in your box and leave it on a windowsill or outside in moonlight. Every day focus on your wish and ask the Fairies for their help. Focus on the image of the Fairy Gold and allow it to enhance your abundance and wealth. The universe has an abundance to offer you, tap into it today.